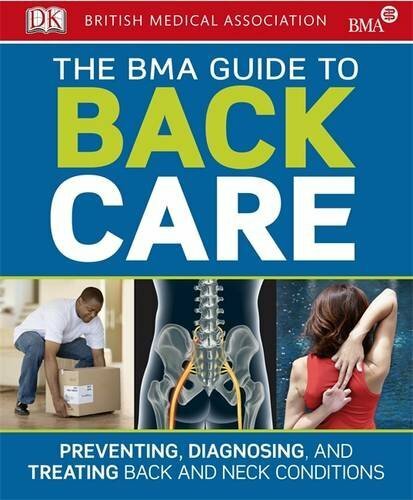 Produced in collaboration with the British Medical Association, the BMA Guide to Back Care covers everything from strengthening your back and neck to diagnosing, treating, and preventing injuries. Simple, clear diagrams help illustrate the anatomy of your back and fully illustrated step-by-step exercise routines are provided for immediate treatment as well as long-term strategies to prevent injuries recurring. The book also features invaluable practical advice on coping with back pain, information on how to get the best results from rehabilitation and the very latest developments and trends in both orthodox and complementary approaches to back care. Comprehensive, authoritative and informative, The BMA Guide to Back Care along with the Back Book (TSO) are essential self-help guides for anyone with back issues who wants to take an active role in their healthcare.